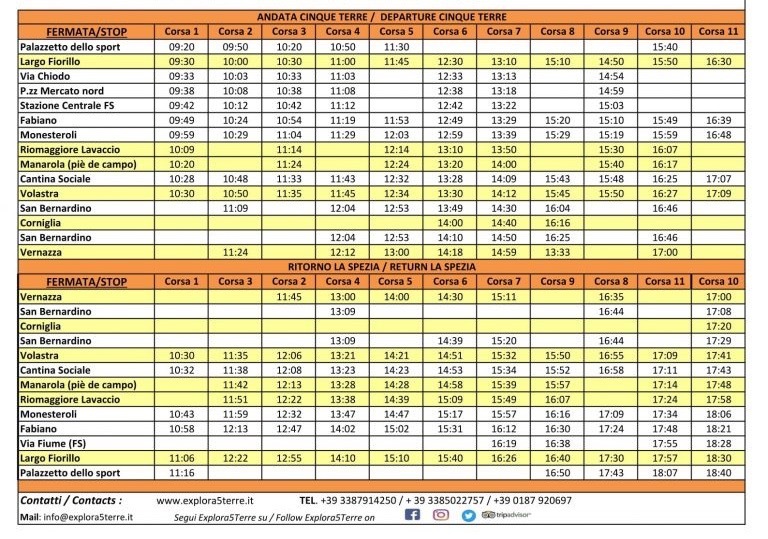 The Manario cooperative that runs the Explora buses (that connect the Cinque Terre villages, minus Monterosso) has announced some important changes to the bus schedule. If you’re unfamiliar with Explora 5Terre, check out my previous post here for more details on the service. You can find a link to current rates here.